For decades, coal ash has been affecting the lives of the Paiute Indians who live on the Moapa River Reservation some 30 miles from Las Vegas. The Reid Gardner coal plant stood about 300 yards from the Moapa River Indian Reservation in Nevada. For the Paiute Indians who call the Moapa River Reservation home, living next to a coal-fired power plant meant dealing with toxic coal ash. The dust covered their homes, seeped into their bodies and, they believed, made them sick. The tribe fought the plant and its pollution, and worked to bring clean energy jobs instead to their land near Las Vegas. In the process, they helped secure from the Environmental Protection Agency the first-ever federal regulations on coal ash. Just two years later, however, the new coal ash rule, referred to by the EPA as the coal combustion residuals rule, faces a serious threat. The byproduct of burning coal to generate power, coal ash contains some of the deadliest industrial toxics known to man—mercury, arsenic, lead and chromium, which are associated with cancer, heart disease, strokes and brain damage in children. Seventy percent of this waste is dumped in low-income communities. Coal ash has been responsible for at least 200 cases of contaminated water. The coal ash rule marked a victory for the Paiute, for Earthjustice and for Americans living near some 1,400 coal ash dumps across the country. That is, until EPA Administrator Scott Pruitt decided in September to “reconsider” the rule at the behest of the coal industry. The tribe’s fight against coal ash began in 2000. William Anderson, the tribe’s chairman at the time, recalls how members began to discuss what the coal ash in their community might be doing to their health. 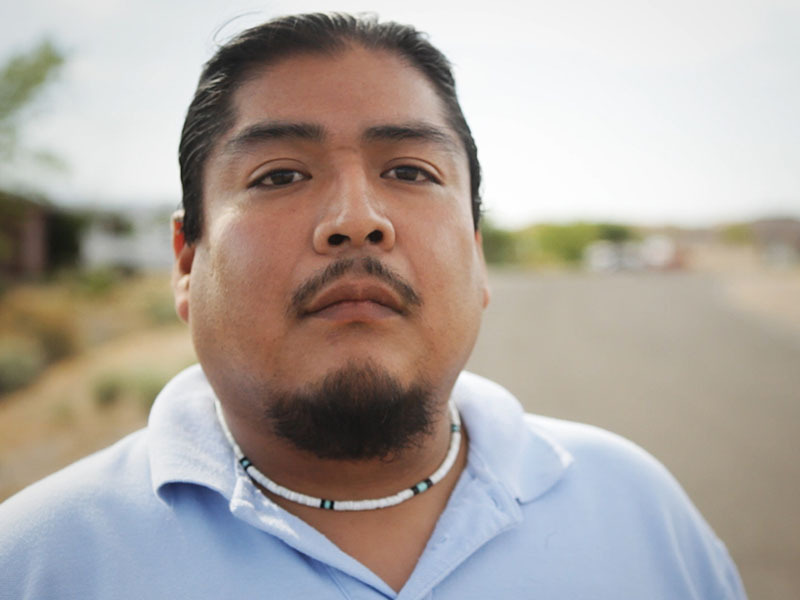 When Anderson was growing up, he says, asthma wasn’t an issue on the reservation. But when they began focusing on the possible link to coal ash, he realized that a majority of children seemed to have asthma or a breathing illness. “We started a campaign with our [tribal] council and went to our people to fight for our own right to breathe clean air,” he says. The tribe’s members started questioning state and federal agencies as well as NV Energy, which owned the nearby Reid Gardner coal plant, about the actual level of emissions. “Every time we started bringing awareness, no one would listen to what we were saying,” Anderson explains. The minimal monitoring equipment that the company maintained didn’t reflect the true level of toxics that the tribe was able to document, Anderson says. Part of the tribe’s campaign included working closely with the Sierra Club and Earthjustice and involved filing a lawsuit against NV Energy that charged the company with violating federal environmental laws requiring proper removal of toxic soil, sludge, coal dust and contaminated groundwater. NV Energy settled the lawsuit in 2015 for $4.3 million. The company closed the Reid Gardner plant earlier this year but still maintains coal ash waste there. The film "An Ill Wind" tells the Paiute Indians' story. The tribe also began soliciting proposals from companies to build a solar farm. And in 2012, the Paiute completed a deal to establish the largest solar farm on an Indian reservation, which resulted in nearly 1 million solar panels being built to provide power to Los Angeles. The farm created 600 jobs, and now the tribe is working on a deal to expand it. Anderson says tribal leaders tried to talk to NV Energy about producing renewable energy, but company officials weren’t interested. “We showed them [NV Energy] that there’s an effective way to have a solution instead of destroying the environment, plants and animals and spoiling the water. And that’s renewable energy,” Anderson says. As for the coal ash left behind, NV Energy is now required to place a cap on the dump near the Moapa River Reservation that would prevent the ash from becoming airborne. The company also must maintain a fugitive dust control plan for at least 30 years to keep toxics from seeping into groundwater, according to Earthjustice attorney Lisa Evans, who was the lead attorney on the case. In addition to helping the Paiute, the coal ash rule established disposal safeguards affecting the other dumps around the U.S. The 2015 rule includes safeguards to prevent fugitive dust, ensure the stability of coal ash dams, protect drinking water from toxic ash, and ensure detection and cleanup of toxic leaks from coal ash dumps. 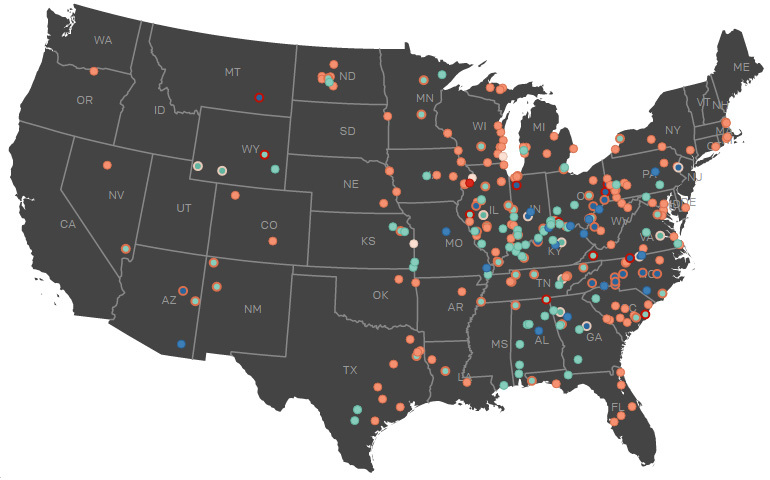 Hundreds of contaminated sites and spills have been documented among the 1,400+ coal ash waste dumps across the country. See map. Evans says the coal ash rule, which Earthjustice had been trying to strengthen, remains in place as of now. But if Pruitt tries to delay compliance deadlines or weaken the rule, Earthjustice will consider legal action. When the EPA announced its decision to reconsider the coal ash rule, Evans called it a “galling giveaway” to industrial polluters. Anderson says the move by Pruitt is one of a number of ups and downs the tribe has faced, and it will not deter their fight. Learn more facts about coal ash.